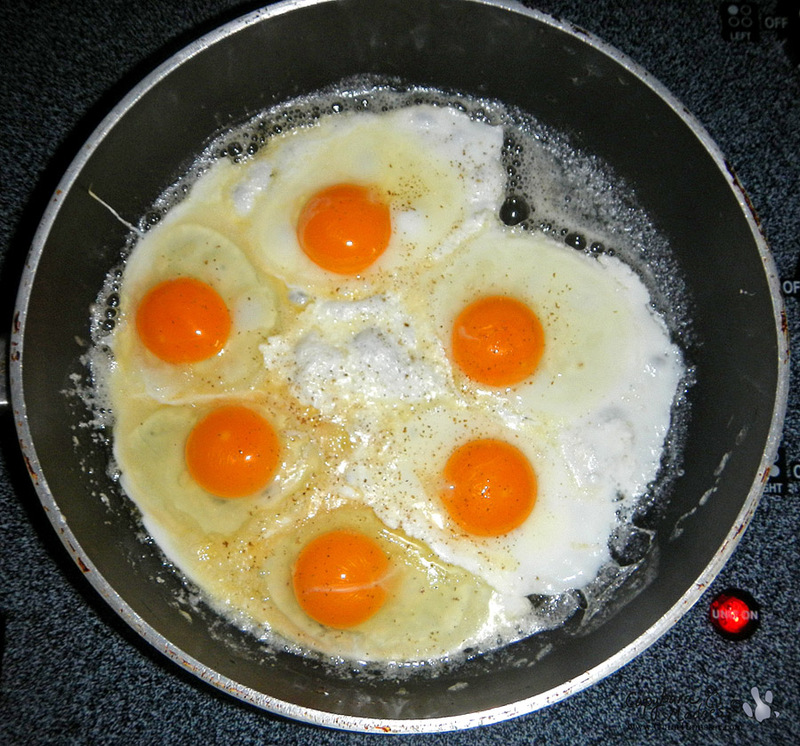 I hear that there is some controversy among humans about which came first, the chicken or the egg. Well, I can settle that right now. The chickens came first. I have had these chicken co-pets for five months now and for the first four months there were no eggs. 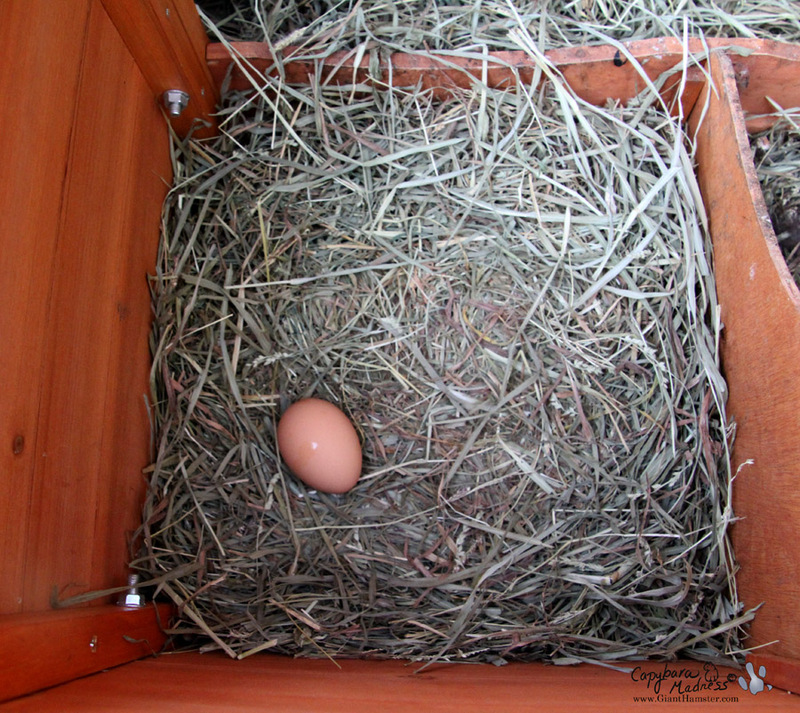 Then one day, out of the blue, an egg started appearing in the chicken coop every morning! Melly says that Firetail is laying the eggs. I guess that’s true because Firetail stays in the coop longer in the morning while Cheap is always making a racket and ready to leave. I tried to ask Firetail if that was her egg and why she was laying it and then just leaving it behind, but she wouldn’t answer. Or maybe it’s just because I don’t understand chicken language. To be honest, chicken-speak is not a pretty language. It kind-of hurts my ears. 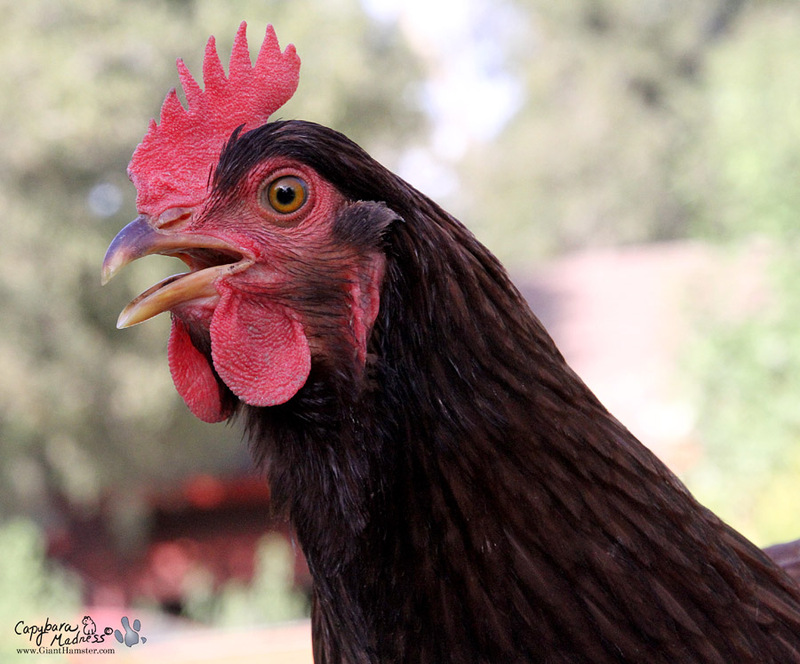 I tried asking Cheap but she is not the smartest chicken in the coop, if you know what I mean. I’m not sure she even speaks chicken-speak. Anyway, Firetail is the ringleader so I’m pretty sure the eggs are hers. 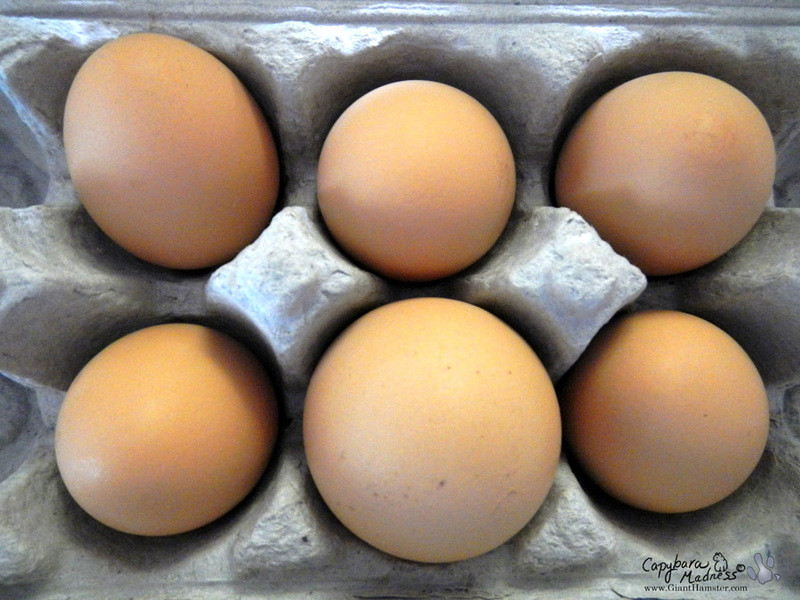 The chickens that lay eggs for the store must be a lot bigger than Firetail because they lay much larger eggs! 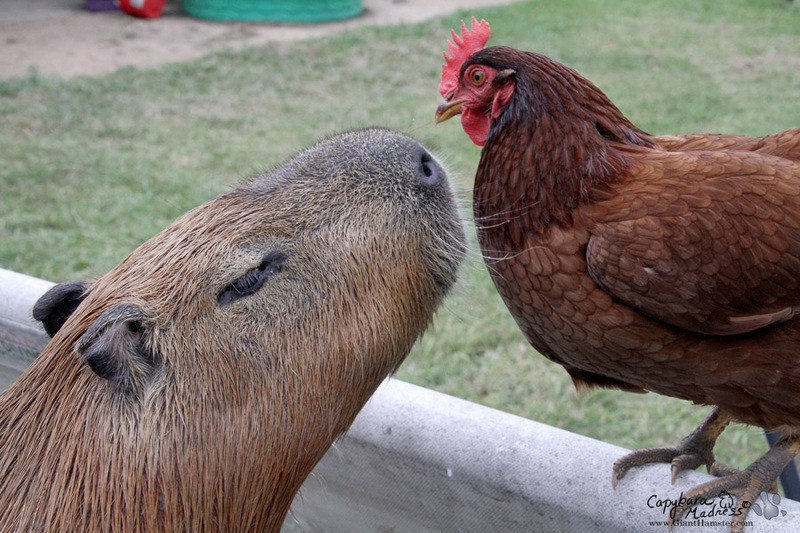 I wonder if they are giant capybara-eating chickens. Chickens will eat anything, in case you didn’t know. I’m not sure I like that Melly steals Firetail’s eggs and puts them in the refrigerator. She has explained to me that there are no baby chickens in the eggs since there is no boy chicken around but still…it’s pretty creepy, isn’t it? This is what she does with them. I have to admit, they don’t look like baby chickens. They actually look pretty disgusting. But then, wouldn’t baby chickens look disgusting? I am really disturbed by this. And I think she is going to do it again. And again. And again. I won’t ever be able to think of Melly the same way. What happened to my egg? I think Firetail would be horrified if she knew what is going on. I simply can’t tell her, not just because of the language barrier. She looks pretty horrified most of the time anyway. If you don't think about it, it didn't happen. 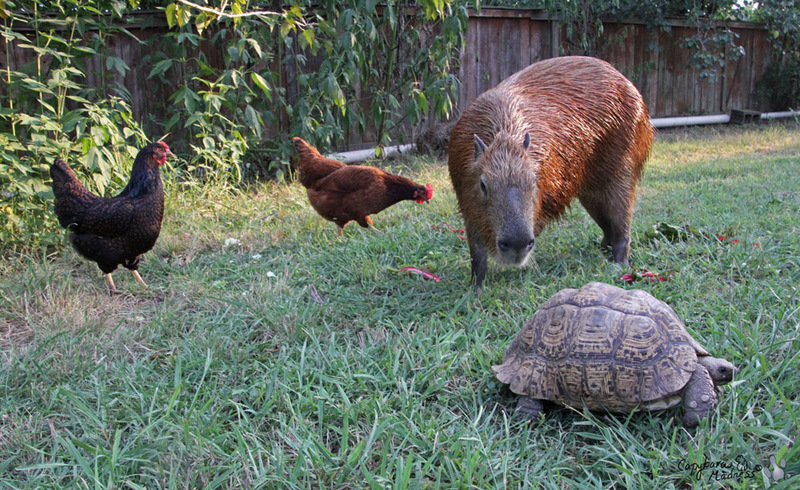 The chickens seem completely oblivious and so do the tortoises and the rabbits. And even the horses don’t seem to notice. I guess it is just something I will have to learn to accept. It is hard being an herbivore in a world dominated by omnivores. 9 comments to The Chicken or the Egg? Hi Gari–I have to agree that Firetail’s expression DOES look pretty horrified. I have familiar with that look and I don’t blame you for not trying to tell her anything about the eggs. You are best not to get involved in this one. Chickens live in a parallel universe. BTW, you are quite brilliant to have finally resolved that age old mystery regarding who came first — the chicken or the egg…there are some folks who obsess over that one for a life-time. As always, it is wonderful to see your latest photos and read of your latest adventures. The photos of you and your siblings are priceless! Gari, I’m sure this does seen quiet horrifying to a Capy to see Melly frying up baby chics. Well us humans do eat some really gross stuff sometimes. Please forgive Melly and the rest of us that choose to eat eggs. Luv the picture at the top of the page — with yr CUTE face peeking out of the water!! Tks for confirming that the chickens came first . 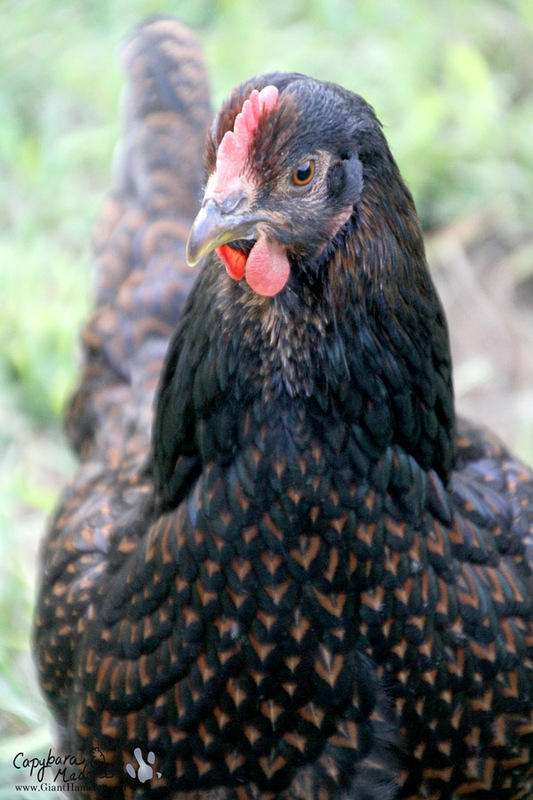 You have pretty chickens. Dont worry — Melly is not eating baby chickens! Luv the article in “jack & Jill” — Gari, you are getting more famOus every day!! Hi Gari. After a long day at work today it was nice to turn on my computer and find your blog in my e-mail. You are so cute. I love the pic of you and Firetail talking. I’m sure she explained to you that the eggs that were cooked were not real chickens. Don’t worry, Melly would never hurt anything that would already be considered living. 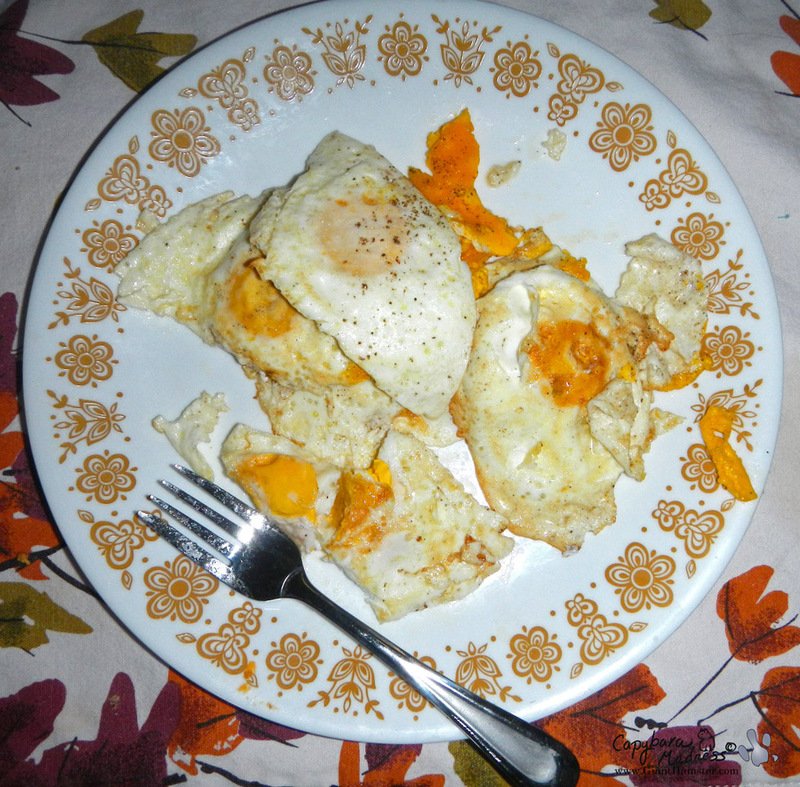 The eggs are a treat from Firetail because she is treated so well. She is very proud and happy that she can give something to her owner who gives so much to her. Haven’t seen a Jack and Jill magazine since daughter outgrew the pediatrician. 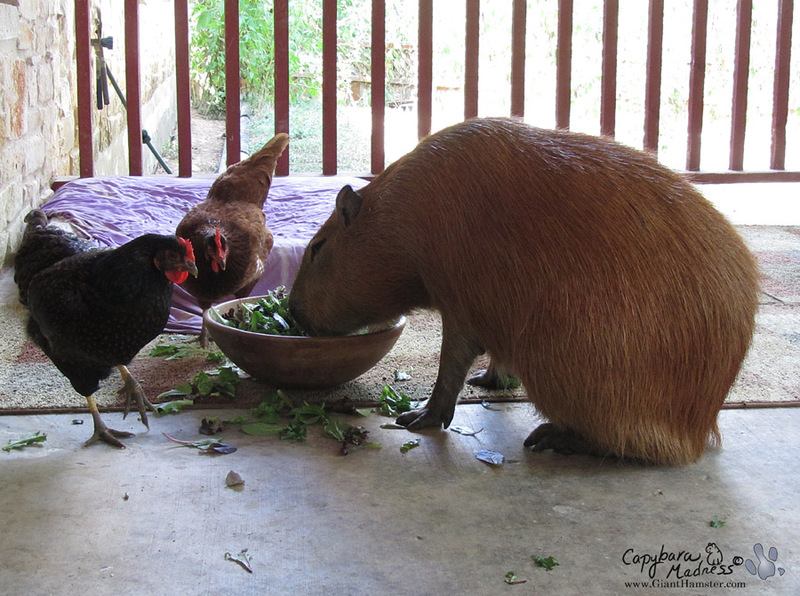 So glad you are gracing the pages, and teaching lots of people about capybaras! I’m so glad I read this after reading about Maple. This is genius!